My daughter will be starting PreK next year so I want to her to get started on having a morning routine. Sometimes we have early schedules and events to go to and it can be stressful when my little one can't get herself ready. I created little flip cards with pictures so that she can help get ready herself and know what to do. 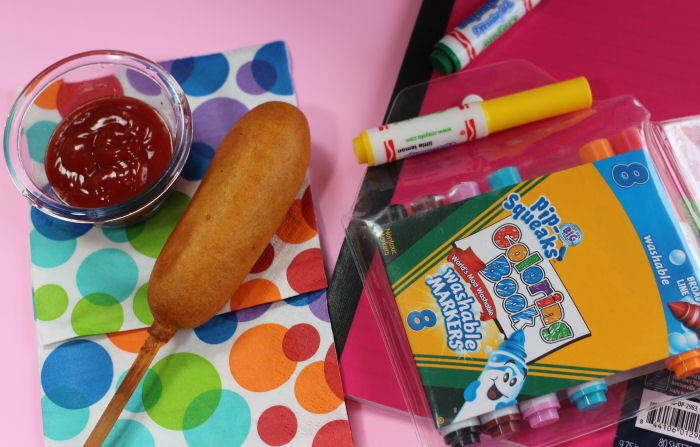 First we went to Walmart to pick up a cute book bag, ribbon, hole puncher, some super easy breakfast from Jimmy Dean® and after school snacks from State Fair® . To make the cards, print cards 1 and cards 2. I printed them onto card stock and laminated them so that they are extra durable for toddler hands. I then stacked them together and punched a hole in the corner. Tie a piece of ribbon through and have your toddler flip over each card as they get completed. Since my daughter is only three I still have to help her do almost every card but it does help when she knows what she is supposed to do next. Though I don't have time to make a delicious and time consuming Latin breakfast like my mom used to do, I always make sure to have some avena fresca in the fridge for the morning. I just add oatmeal, milk, water, a little sweetener and cinnamon in the blender and blend until smooth. I keep it in the fridge over night and enjoy it with my daughter in the morning. To go with the avena fresca we have a delicious and fast breakfast from Jimmy Dean®. 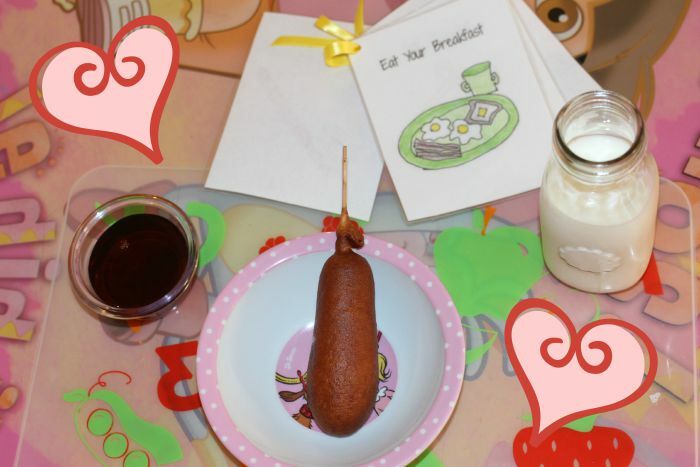 My daughter loves the Pancakes and Sausage on a stick and I love that I can just throw them in the microwave for a couple of minutes. I like to serve a little cup of maple syrup for her to dip herself. It's fast to make and easy for her to eat without making a big mess and without me having a load of dishes. Because they are from Jimmy Dean® I know I am getting a satisfying and high quality breakfast that is a perfect way to start your morning. 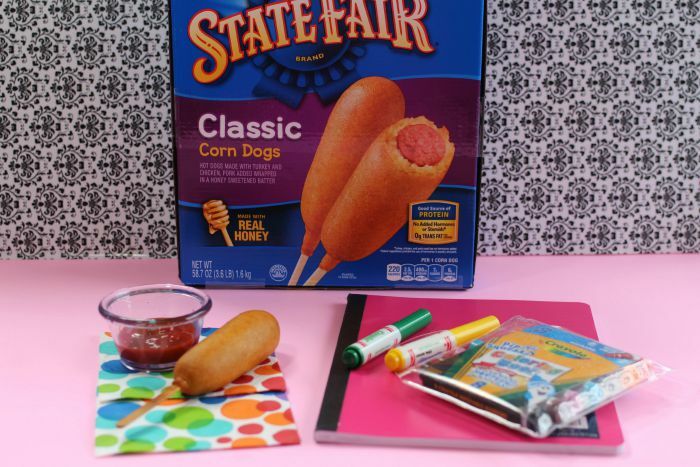 When we come back from our events, play dates or sports I always have some State Fair® Corn Dogs in the freezer to snack on. My daughter loves them a little crisp so as soon as we get home I pop it in the oven. 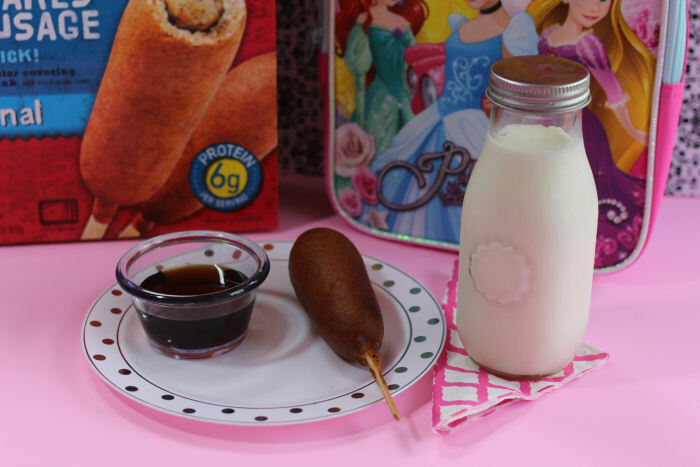 By the time we settle down, change our clothes and put away any left over messes the protein packed corn dogs with the honey-sweetened cornbread batter is ready to eat. What are your time-saving morning routine tips? 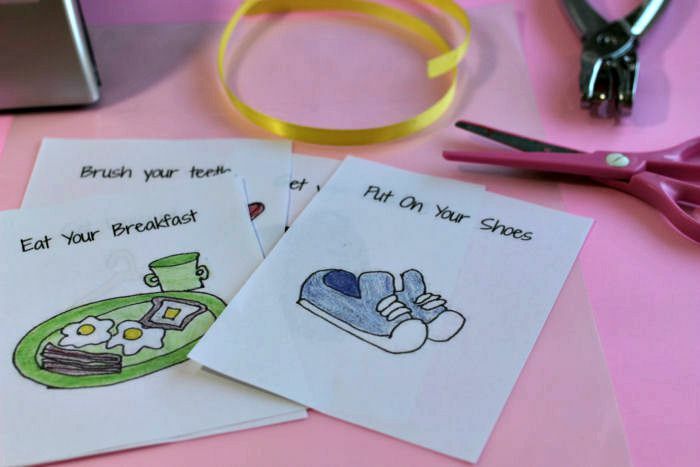 Those cards are a great way to start to teach your child what they have to do each and every morning. I have yet to convince my brain that I am supposed to eat breakfast. 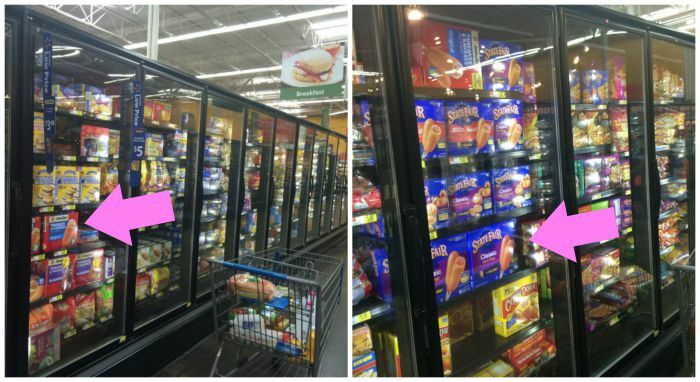 Maye trying those Jimmy Dean products will help convince me. That is such a great idea. I am totally going to try this with my kids. The pancakes on a stick are such a great (and yummy!) breakfast! I have taken the sticks out and sent them in lunches too! I try to get as much done at night as possible to make the mornings easier. Those cards are a great way to help kids get into a routine. I love the get ready cards and how you made them into a little flip book schedule! Great idea! I love those get ready cards! They are darling! Kids love routines, and this really helps them know what's to be expected and count on it! 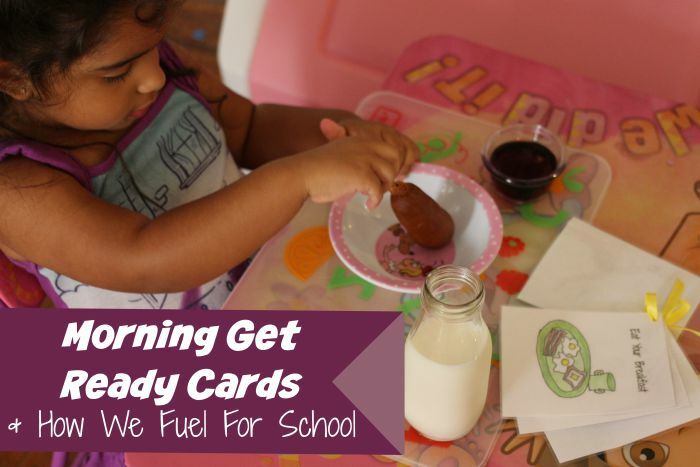 Those cards are such a great idea to help keep kids on track in the morning! 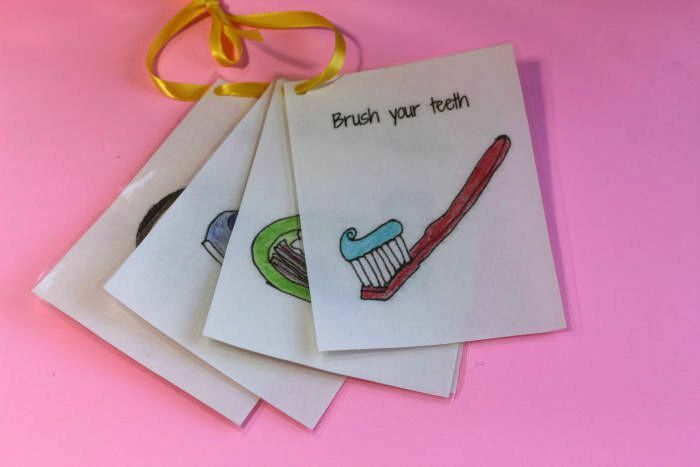 What a neat idea to have little cards your child can flip through for their morning routine. A great way to keep them -- and you -- on track, for sure! I made up a few of these myself but they aren't as cute as yours! I've downloaded them. Thanks for sharing them and State Fair. The Kids love them.